Greenhow village lies thirteen miles, as the crow flies, north-west of Harrogate, half-way between Nidderdale and Wharfedale. It’s height above sea level is about 1,300 feet; this probably makes it the highest village in Yorkshire. The village is extremely exposed, and the fact that only a few houses have doors facing north and west speaks volumes for the climate. The village consists, in reality, of two villages, Greenhow Hill, situated in the dip between the Greenhow and Coldstone hills and the much older village, Keld or Kell Houses, which consisted of half a dozen houses that clustered round Craven Kell, and running up to the edge of the moor at Craven Cross. 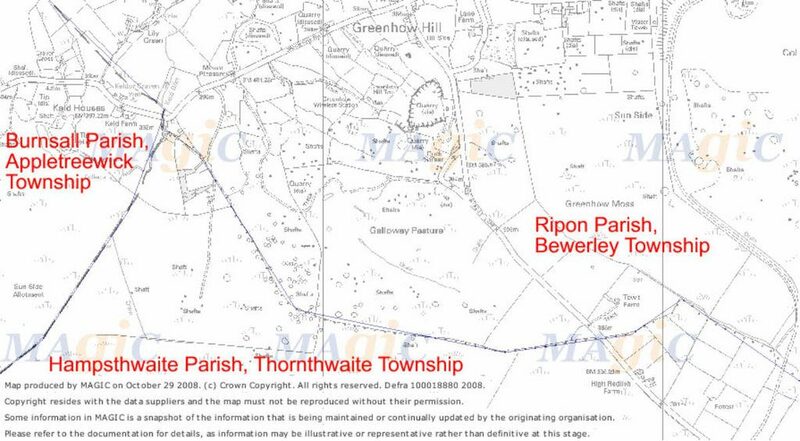 The parish boundary, which runs along Kell Dyke, divides the village into two main parishes; on the east side the majority of the village is the township of Bewerley in the Parish of Ripon, while that on the west is the township of Appletreewick in the Parish of Bursall. Just to the south of the road however, at Kell Dyke Corner is part of the Parish of Hampsthwaite, Thornthwaite with Padside township . This long thin part of this parish runs south-easterly, passing Greenhow Hill Top, missing out Duck Street, but incorporating Redlish House. To complicate matters still further when St Mary’s church was built at Greenhow about 1858, a new Parish of St Mary’s Greenhow Hill was carved out of these three. In the past, the land hereabouts belonged to Fountains Abbey, which built a small, two-roomed cottage close to Craven Kell, past which the pack track led. Here two monks used to live, whose business was partly to succour wayfarers in this once so wild spot, partly to prevent lead ore-poaching, and probably they also tended the Abbey sheep. “…there may be cottages erected for the miners and mineral workmen upon the said waste … and also for the keeping of draught oxen and horses for the maintenance of the mines, always leaving the tenants sufficient common”. 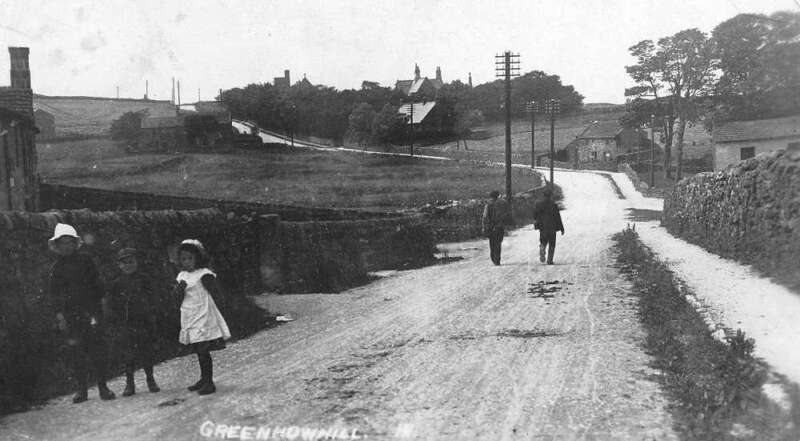 Please see the Greenhow History page for more information.